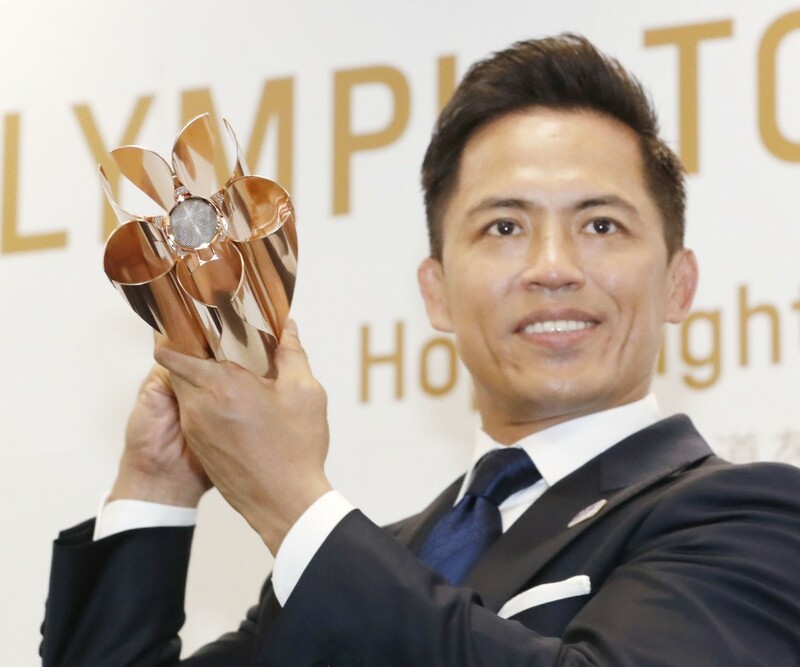 Drawing on the imagery of Japan's iconic cherry blossoms, the 2020 Tokyo Olympic torch was unveiled on Wednesday by designer Tokujin Yoshioka. The torch relay will begin winding its way through Japan next March, when Japan's ubiquitous "sakura" cherry trees start coming into bloom and ushering in the nation's annual spring inspiration. Thus the torch, with its cherry blossom motif -- that also recalls the image of five Olympic rings -- fits neatly into the torch relay's theme, "Hope Lights Our Way." This in turn fits into the Tokyo 2020 Olympics and Paralympics theme of focusing on reconstruction in the wake of the March 11, 2011, earthquake and tsunami disaster that devastated northeastern Japan. The upper part of the 71-centimeter, 1.2-kilogram torch consists of a central column with five petal-shaped attachments to form a symbolic blossom. Thirty percent of the aluminum used in the torch comes from material recycled from temporary housing used in disaster-hit Iwate, Miyagi and Fukushima prefectures. Tadahiro Nomura, a three-time Olympic champion judoka, appeared at the ceremony as one of the torch relay ambassadors. He participated in the unveiling with Yoshioka and was the first to hold it in public. "To actually be holding this superb work, is frankly giving me shivers," he said. "I can only imagine the joy on the faces of people lining the route of the relay when they see it." The torch, constructed using methods borrowed from the production of Japan's shinkansen high-speed trains, is fashioned in a color between pink and gold dubbed "sakura gold." The design's high tech goes past the basic construction and into its ability to keep a flame burning in high winds and heavy rain. The Olympic flame will be lit in Greece on next March 12 and will travel through the three hard-hit prefectures before beginning its 121-day nationwide journey on March 26. With from 80 to 90 torch bearers per day, organizers are expected to prepare around 10,000 torches for the relay that will conclude at Tokyo's New National Stadium on July 24, 2020, for the start of the Olympics.